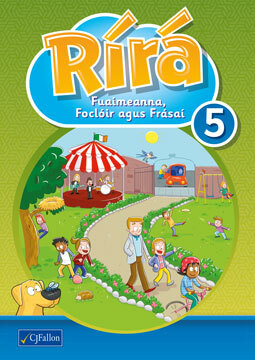 The Rírá series is an Irish spelling programme for Primary Schools. This series has a unique approach to the teaching of spellings, using a phonics model, while also providing the key vocabulary that pupils will encounter in their reading and writing. The programme has been developed to support pupils as they learn and teachers as they plan. How does Rírá support pupils as they learn? It focuses on sounds to simplify spelling. It provides vocabulary development and useful structures. It emphasises regular revision to develop confidence. It features enjoyable exercises and activities. How does Rírá support teachers as they plan? Each book features a yearly plan for spelling. It provides a whole-school improvement plan for spelling. The layout is simple and well-structured. There is a step-by-step development from class to class.